Was born 1964, graduated from Maria Curie-Skłodowska University in Lublin. Has been engaged in Performance Art since 1988. Participated in many exhibitions, festivals of performance art around the world for example: International Festival of Performance Art Infr’Action (Paris / France Harta Performing Monza (Monza / Italy), Blurrr Biennial of Performance Art (Tel Aviv / Israel), Asiatopia (Bangkok /Thailand), Open festival (Beijing / China), stated Territory (Solo / Indonesia), 7a * 11d (Toronto /Canada). Curatorial Projects: Festiwal Art Kontakt (2000 Lublin), Discovering Europe (2004, Lublin), EPAF Festival (2004, Lublin, 2006-2011, CCA Ujazdowski Castle, Warsaw), Days of Performance Art (2006-2007, Kyiv) Days Performance Art in Lviv (2008-2010). Performance ARSenał (2009, Białystok). 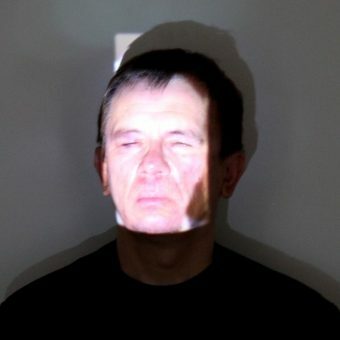 Founder and curator of Performance Art Centre in Lublin (1999-2009), founder and first president of Lublin Society for the Fine Arts Promotion (Lubelskiego Towarzystwa Zachęty Sztuk Pięknych). Since 2010 he is the director of Labirynt Gallery in Lublin.